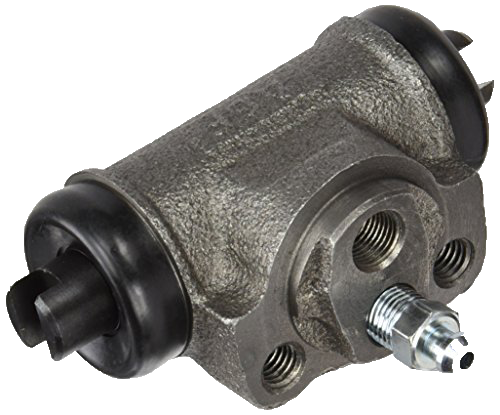 The typical brake cylinder consists of a steel tube with two opposing pistons inside. The pistons move outwards until the brake shoe touches the drum. Since the two pistons share the same bore, they undergo the same fluid pressure and release the same force. A rubber seal on each piston ensures pressure and prevents any leakage. An anti-dust seal on both ends of the cylinder protects the pistons from dirt.